A return to racing around a bend and a cleaner bill of health is expected to bring an improved performance from Eurack in a sprint race at Moonee Valley. Eurack suffered her first defeat when she beat two runners home in the final race of the Melbourne Cup carnival at Flemington on November 10. The mare had previously recorded four straight victories at Bendigo, Sandown (twice) and Caulfield. 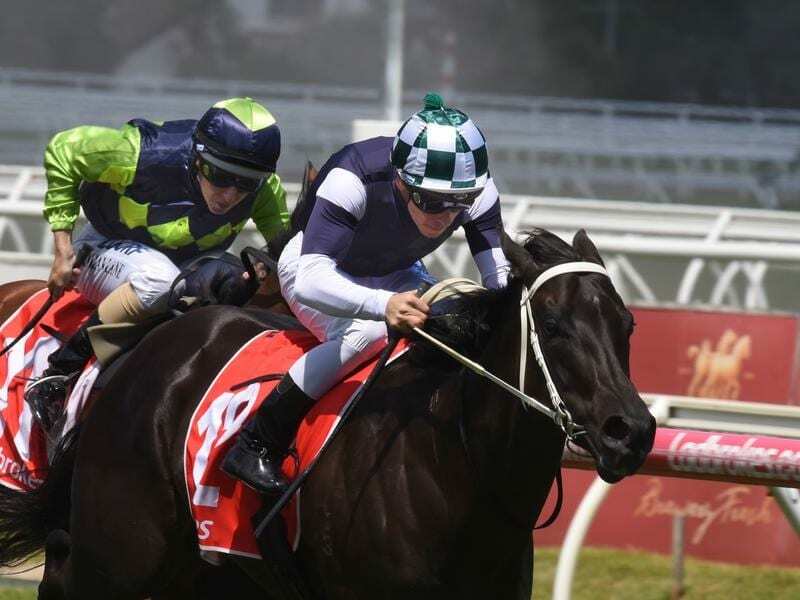 She suffered buffeting mid-race and was later found to have mucus in the back of her throat in a post-race scope after the Flemington straight-track sprint which was her first start for training partners Carlo Vidotto and Clay Beasy. The pair took over the five-year-old mare’s training after Nathan McPherson was suspended for two months following a positive swab from Hunting Hill and then outed for another six-weeks over the training bona fides of another of his stable’s horses. Beasy, who has been in a training partnership with his grandfather for 12 months after a successful career as a picnic jockey, used to ride work for McPherson in his younger days. Beasy said Eurack was over her ailment and ready to bounce back in Saturday’s 1000m Spendthrift Australia Handicap. “She didn’t run too well at Flemington and it took her a few days to get over it as she had some mucus in her throat,” Beasy said. “The straight didn’t seem to suit her either and she copped a few good bumps and threw the towel in after that. “But we can’t fault her since then. Eurack is rated a $9.50 chance with the Darren Weir-trained Grey Shadow $3.90 favourite ahead of Fill The Flute, who is aiming for a fourth successive win, next at $7.